GO alice isnt weird at all tho so ??? Yeah right now Lance seems to be like a personification of badass. Every strange things can be attributed to lolMoonCell. The same way he gets a machine gun in GO. Not just sentience. Arguably life itself is the ability to remember and adapt to experiences. No, you're right, I worded that poorly in favor of sarcasm. A better version would be "It's not weird at all for a sentient Reality Marble which by definition posesses no set appearance, personality, skills, or anything but the single basic ability to alter its shape according to the preferences of its current Master, to somehow retain the imprint of a single "past" Master, even though we know time in the Throne of Heroes is subjective and it could theoretically have had any number of Masters in any number of paralell worlds". Or tl;dr Nursery Rhyme's description explicitly calls it out as a mirror. Suggesting that a mirror has a memory is absurd, even if the reflections it shows can talk. Last edited by Deathhappens; May 16th, 2018 at 12:07 PM. Last edited by castor212; May 16th, 2018 at 12:15 PM. Yes, and he does it while ranting about art. That's like taking JLU animated Joker seriously because he kills a lot of people. That's like the standard "this psychotic murderer has a code" character trait though. I consider both of them joke characters. Just because you are a joke character in the eyes of some fans doesn't stop you from acting badass and serious. Point is, no one can dictate what others define a character. Sees Charles new outfit, "Well, hello handsome"
If you look closely at the icon on her police hat, it's the exact same one on Koyanskaya's hat. Same gimmick as his first trailer when he turns into Iskandar and does his rushing move. 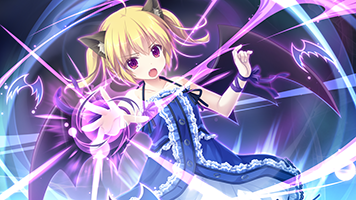 I think the mechanic is that you turn into a servant (not sure if random, or an ally servant, or have any specifics) and briefly use one of their attack actions. Hopefully when he turns into Karna he shoots eyebeams.